It lifts the total capital raised in the past three years to about £100m. The British government has already put in £60m; BAE Systems initially injected £20m in 2015 and has upped its stake in this latest financial round. “Rolls are super-positive about the technology. They want us to be independent and innovative, and to push our technology as hard as possible. And Boeing – that’s amazing. They are the world’s biggest aerospace company, have decades of expertise and future plans that, for us I’m sure, will be really exciting,” he told BBC News. Although Sabre is usually talked about in the context of an orbiting spaceplane, it could also be fitted to a vehicle that flies at very high speed from point to point on the Earth’s surface. 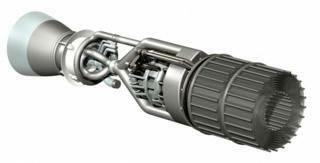 “As Reaction Engines unlocks advanced propulsion that could change the future of air and space travel, we expect to leverage their revolutionary technology to support Boeing’s pursuit of hypersonic flight,” said HorizonX vice president, Steve Nordlund. Also this summer, REL should take control of its new test building in the UK at Westcott in Buckinghamshire. It is in this facility that the company will mount a demonstration in 2020 of the full Sabre cycle. The company is expanding fast with more than 160 staff at its Culham HQ. “The new investments will allow us to bring in even more unbelievably talented people,” said Mr Thomas.